Sometimes, dealing with your body as you grow older is like dealing with an old car. Everything works, but some of the parts just aren’t working as well as they used to work. 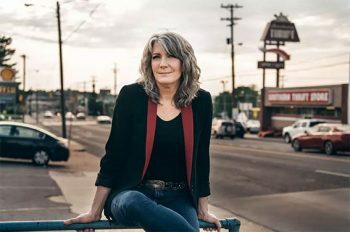 Mattea, a country music star who is headlining a show – “Kathy Mattea: The Acoustic Living Room Songs & Stories” — on October 16 at the Sellersville Theater (24 West Temple Avenue, Sellersville, 215-257-5808, www.st94.com), recently had to deal with an aging voice. Kathy Mattea has enjoyed the kind of success many artists only dream of — two GRAMMY wins, four CMA Awards, four Number 1 country singles, and five gold albums (plus a platinum collection of her greatest hits). The dream almost ended when Mattea entered her 50s and began to find her voice changing. 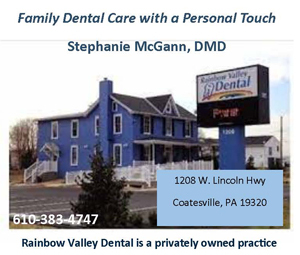 What followed was a three-year journey through life challenges and vocal glitches that she describes as her “dark night of the soul” — a trying time of personal anguish and professional uncertainty that threatened to silence her permanently. “It started about three or four years ago,” said Mattea, during a phone interview Thursday morning from her home in Nashville, Tennessee. “It sort of crept up on me. I’d be onstage, and I knew what note I wanted. But, it wouldn’t come out. My voice as tight and other times it was flat or strained. It was just inconsistent—flat. “I met Tony Bennett in a chance encounter and had a 15-minute conversation,” said Mattea. “I said – I know how old you are…how do you do it at that age? He told me about his own struggles with his aging voice and that he dealt with them by finding a teacher and re-learning how to sing. “So, I found a teacher to help me re-learn how to sing. I found a woman who works with Bobby McFerrin and we started exploring. The key is learning how to get out of your own way. It’s like being an athlete. It makes sense that it would be the same way for a singer. “My guitar player Bill Cooley was encouraging,” said Mattea. “We just went out with the two of us and played some duo shows. I’d tell the audience that there was something going on with my voice. I wasn’t going to quit or give up. “I recorded ‘Pretty Bird’ over the course of a year,” said Mattea. “I finished it in the spring. I took my time. I got most of the songs together with Bill (Cooley) and my friend Tim O’Brien agreed to produce it. Video link for Kathy Mattea – https://youtu.be/wvNG1wBxQE0. The show at the Sellersville Theater will start at 8 p.m. Tickets are $35 and $50. Another upcoming show this week at the Sellersville Theater is Carl Palmer’s ELP Legacy on October 17. 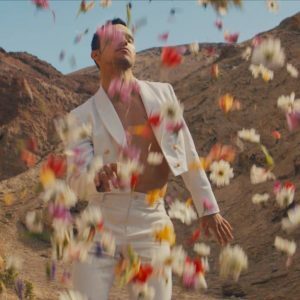 On October 15, Gabriel Garzón-Montano will return to the Philadelphia as the opening act on the “Kali Uchis: In Your Dreams Tour” at the Theatre of the Living Arts (334 South Street, Philadelphia, 215-222-1011, http://www.lnphilly.com). Last year, the New York-based singer released his debut album – “Jardín.” His previous release was the “Bishouné: Alma del Huila” EP in 2014. “The title of the album – ‘Jardín’ – means ‘garden’ in French and in Spanish,” said Garzón-Montano, during a phone interview Thursday afternoon from a tour stop in New York City. It is a fitting title for a musical work by the son of a French mother and Colombian father. His mother was a member of the Philip Glass ensemble as a mezzo-soprano who played guitar, cello, and piano in the 1990s. She also performed as a mezzo soprano in the choir at the New York City Opera at Lincoln Center throughout his childhood. “My mother, who passed away a few years ago, was really talented,” said Garzón-Montano. “She was a cellist, a guitarist and a mezzo soprano. She took me to rehearsals and I went on tour with her in Spain and Italy with the Phillip Glass Ensemble. Garzón-Montano also studied guitar and drums and began writing songs as a teenager. Then, he went to college at SUNY-Purchase where he got into a funk band. “I formed Mokaad, a funk band, when I was at the university,” said Garzón-Montano. “Two of the players from that band are my touring band now – Dominic Missana, who plays four-string bass, Moog, glockenspiel, process and tenor sax, and Davy Levitan, who plays guitar and process. I play guitar and a Wurlitzer with a synthesizer. And, all three of us have loops so we can insert overdubs at will. In 2016, Garzón-Montano went to Waterfront Studios in Hudson, NY, to record “Jardín” with his mentor, analog guru Henry Hirsch. “I made my EP with Henry also,” said Garzón-Montano. “We tracked most of the music direct to two-inch tape. It’s a great studio wit a lot of old equipment – such as a Helios Console like the kind that Bob Marley used to use. It was pretty much a 1973 setup. Video link for Gabriel Garzón-Montano — https://youtu.be/l4LFawdddFE. The show at the TLA, which also features Kali Uchis, will start at 8 p.m. Tickets are $34.50. Other upcoming shows at the Theatre of the Living Arts are Atmosphere on October 16 and Masego on October 17.